Historical Marker #2158 in Warren County remembers Shake Rag, an African American community founded in the 1800s. 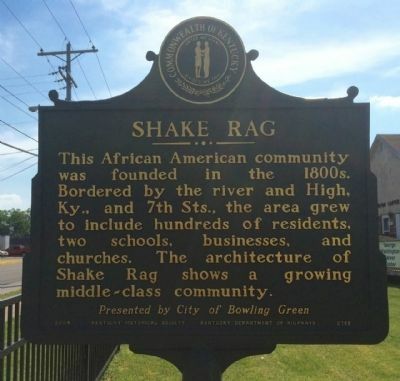 Shake Rag was added to the National Register of Historic Places in September 2000, becoming Bowling Green’s first National Register district recognized for its importance to African American history. 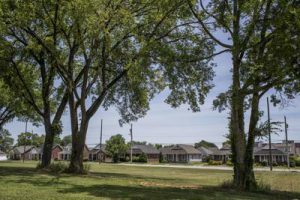 Founded on land donated in 1802 for use as an African American public square, the neighborhood grew steadily following the Civil War and into the twentieth century. 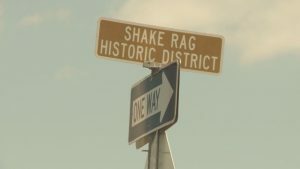 Shake Rag This African American community was founded in the 1800s. Bordered by the river and High, KY., and 7th Sts, the area grew to include hundreds of residents, two schools, businesses, and churches. 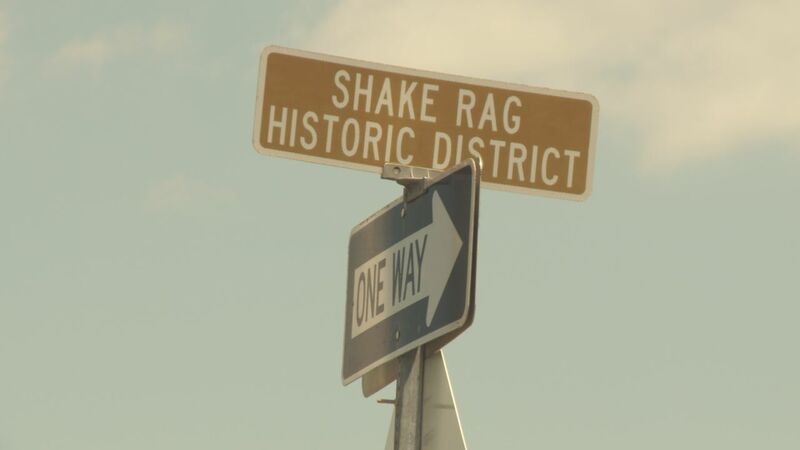 The architecture of Shake Rag shows a growing middle-class community. 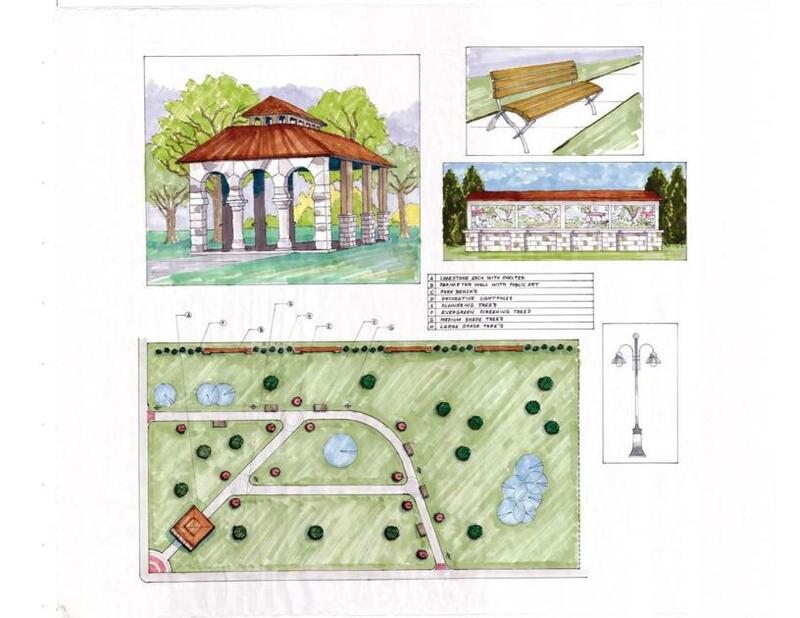 The marker was dedicated in 2004 through the financial support of the city of Bowling Green. 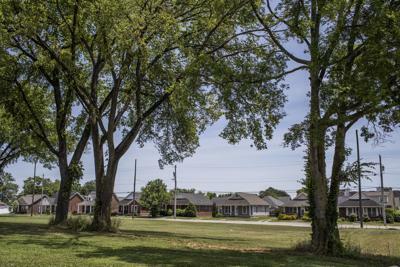 An open lot owned by the City of Bowling Green at the Corner of 3rd and College Streets in the Shake Rag District is slated to be developed into a green space park. 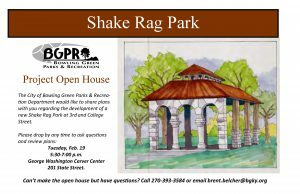 The City of Bowling Green will hold a Project Open House regarding the development of a new Shake Rag Park at the corner of 3rd and College Street. 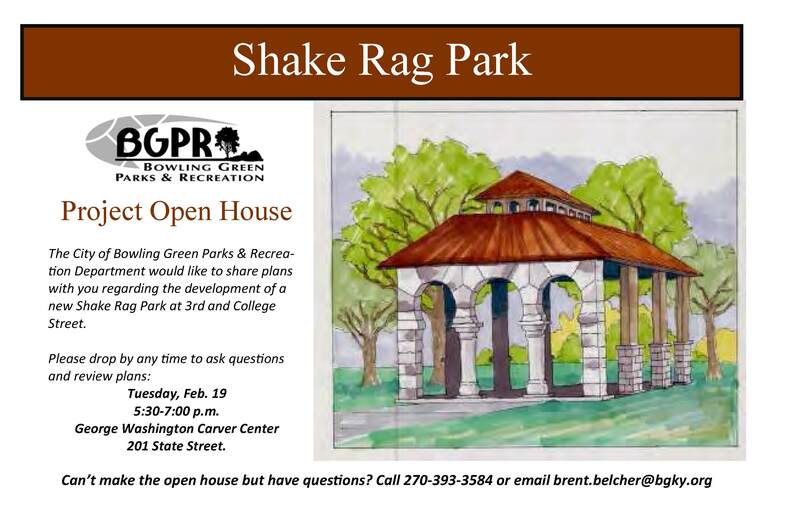 The open house will take place on February 19, 2019 from 5:30 to 7:00 p.m. at the George Washington Carver Center at 201 State Street. Please stop by at any time to ask questions, review plans and discuss ideas with City staff.